THEY improv provides Comedy With A Tropical Punch! Tropical Punch is the latest and greatest improv troupe providing the best in corporate event and private party comedic entertainment throughout South Florida. The cast of Tropical Punch have been wowing the audiences of South Florida for years, and can bring their particular brand of comedy to entertain your group. Their short-form improv comedy performances can enertain audiences of any age. Whether you are in Miami, Fort Lauderdale, the beaches, West Palm, Boca Raton or the Florida Keys, THEY improv's Tropical Punch are ready for your corporate event or private party. Todd is our resident Know It All and has done just about everything. He has appeared in several plays and independent films shot in South Florida and had a brief but uncredited appearance in The Fugitive with Harrison Ford. He worked for the Speaker of the House in Washington, DC, did cost-benefit analysis for the FAA, and worked on the floor of the Chicago Mercantile Exchange. Todd works in the IT world helping companies get their sites online, so he might be programming while on stage. 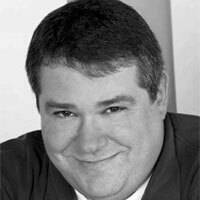 Todd has performed with Improv Olympic in Chicago (now called IO), Cirque de so Lame, graduated from the Second City and is in the cast of Laughing Gas. Todd is currently working on several video projects. Click here for Todd's website. Andy is our resident Handsome Man. Andy has appeared in numerous stage, television and commercial productions. He was a cast member of the sketch troupe Punch 59, Best Medicine, and is a current member of Laughing Gas. He appeared on TV in Miami Vice and Ocean Avenue as well as the movies Carlita's Secret, 1 Anunnaki and The Bahama Hustle. Andy is currently working on independent video projects as well as his constant appearances in commercials. Susie is our resident Classical Actress. Susie attended New World School of the Arts in Miami and trained in New York and London in Classical Theater. 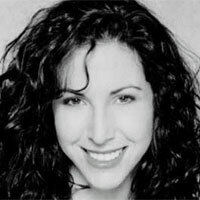 In New York, Susie is affiliated with several theater companies including Resistance Theater and Broad Horizons. Her short play, Mittelschmerz, premiered as part of the Gallery Players Black Box Festival in Brooklyn, New York. She is regularly cast in plays and films and has appeared in almost every legitimate theatre role that you can think of, except Gidot. She has performed with Laughing Gas and has been seen in almost every theatre in South Florida. Now you can see her on Showtime in the pilot for Dexter as a detective. Ed is our resident Energizer. 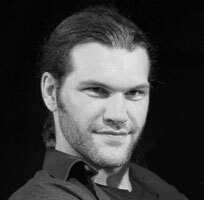 He graduated from the University of Florida with a BA in theatre and a minor in English, but more importantly to us studied improv with the Annoyance Theatre in Chicago. 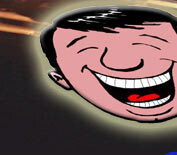 He has performed with the improv troupes STDs and Just the Funny. He has appeared in many plays including By the Bog of Cats for the Irish Repertory Theatre in Chicago. 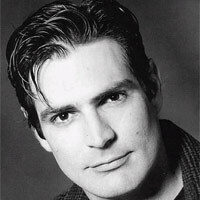 Ed has appeared in numerous commercials and is currently a teacher at the Fort Lauderdale Children's Theatre. Headshots of Todd Rice and Andy Sottilare are courtesy of Bob Lasky. 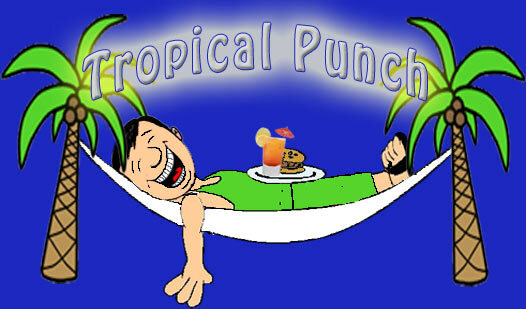 Tropical Punch is available to perform short form improvisation as well as to help with team building workshops for corporate events. Contact us to find out how Tropical Punch can be provide for all of your needs. You can contact Tropical Punch at (866) 219-4386 or by emailing us at info@theyimprov.com.